Once & awhile, I crave doughnuts. I am sure it is because in my neighborhood in Chicago, there are three doughnut shops on what is known as the '6 Corners' in WP which I pass almost every single day. Temptation surrounds me! Knowing how absolutely toxic doughnuts are, I was brainstorming how to make a healthy version of my own. And I have figured that out! 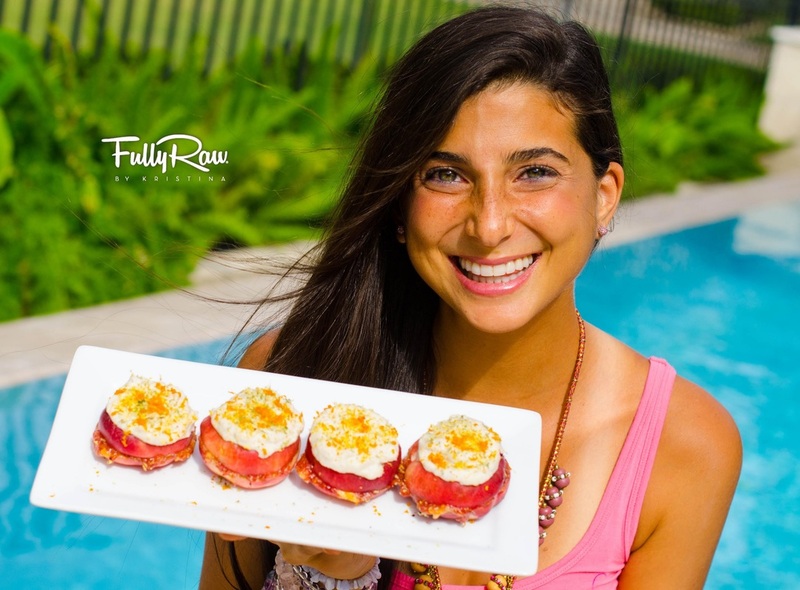 For 'doughnut making inspiration', I was watching this video by 'Fully Raw Kristina' about how to make 'Fully Raw Healthy Jelly Donuts'. I took her lead and created a simple version, no Vitamix or kitchen gadget required. 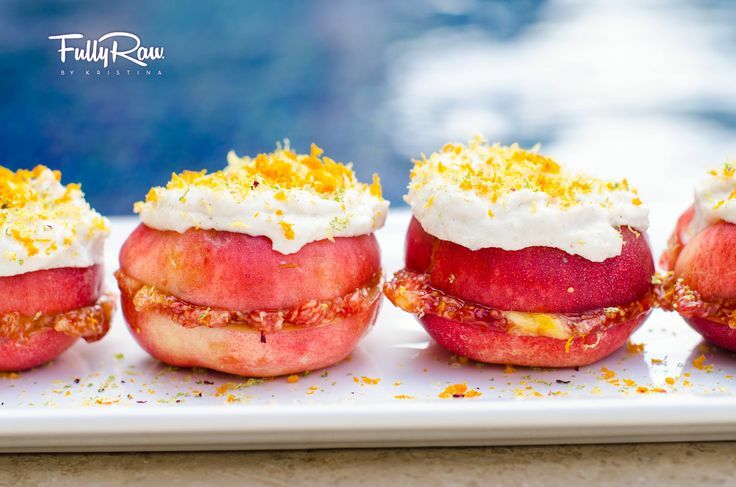 I basically just took one apple (and I have also made these with peaches), sliced it into several circular halves. And cut out a hole in the middle using two slices as the top & bottom of the doughnut (as seen in the photo). I then spooned out the jelly of two 'figs' and spread it onto the apple slices. I also spread on roasted almond butter (yum). And I smooshed the two apple halves together making a gooey jelly doughnut! Using Figs as a 'jelly filling' to these healthy doughnuts was brilliant on Kristina's part! 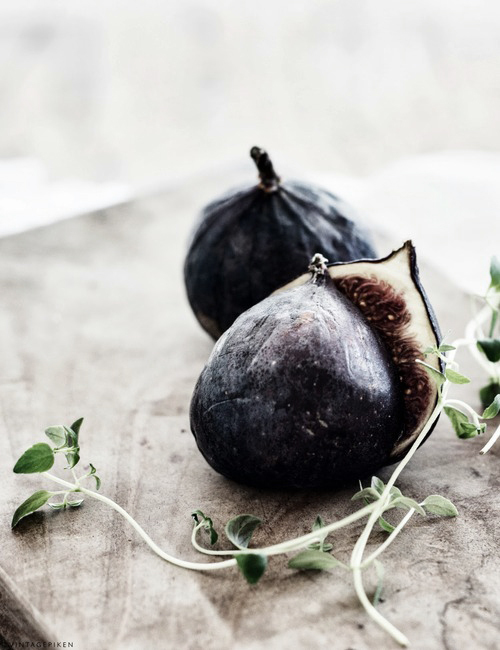 I loved researching 'the fig' and found that figs offer much nutritional value. a really decent source of fiber. And to read rather baffling benefits of figs for lowering the risk of diabetes to to aiding in protecting against Macular Degeneration, go here to read all about these health wonders. I am officially a fan of the fig & cannot wait to find more creative uses w/them!